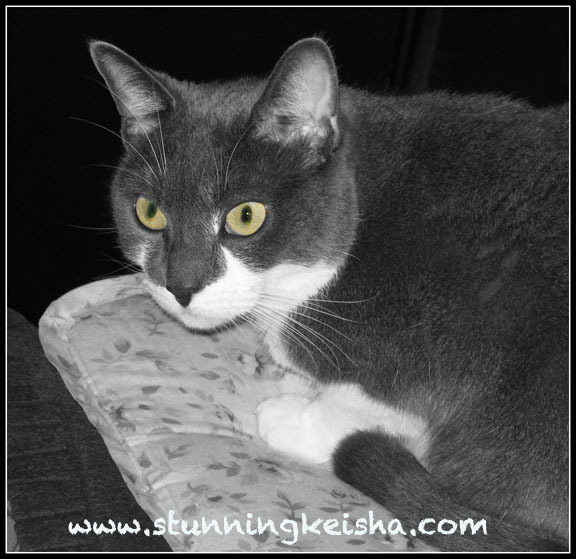 Everyone knows my eyes are my most stunning feature so I've highlighted them in this mostly black and white foto. Thanks to my pal Gizmo GeoDog for showing me this technique. 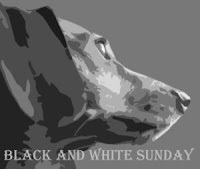 This will be my entry for the Black & White Sunday Bloghop, which is hosted by My Life in Dog Years. Gorgeous, gorgeous, gorgeous. Hope your Sunday is nice and easy, CK! Those are stunning eyes for sure! Have a serene Sunday and stay cool Keisha. Great photo sweetie. Yes, your eyes are as stunning as the rest of you. You do have stunning eyes, CK! We just learned how to isolate one color also. CK, do you think our Mommy is intelligent enough to learn this trick? Pretty eyes and a fun photo! This is beautiful picture of you, CK. It shows your stunning eyes very well! Oh, that is stunning, for sure! We all voted here CK and the eyes have it! Your eyes are furry stunning indeed !